Through our Collaborative Filmmaking framework, Rhiza brings a feminist and decolonial approach to impact filmmaking. Our process-oriented methodology focuses not only on product, but sustained collaboration with organizations and frontline communities. Many of our projects seek to tell community-level stories of resilience and hope in the face of crisis and trauma from forced migration or environmental devastation. Above and Below the Ground tells the story of daring indigenous women activists and rock musicians who come together in the ongoing struggle against the Myitsone Dam and for environmental self-determination across their native Kachinland. Through investigation, protest, prayer, and music, they test the boundaries of tentative democratic reform in Northern Myanmar, and work to create a future in which native peoples have the right to care for and protect their own lands and natural resources. Click here to read more about this feature-length documentary film. Social justice music videos combine the contagious power of music with compelling visuals to expose injustice and inspire potential allies into action. 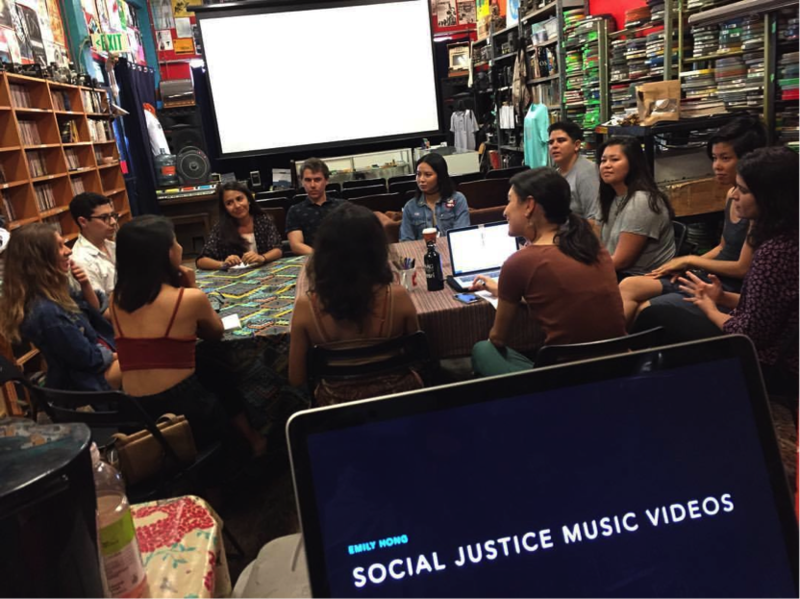 In a workshop for the Echo Park Film Center, we shared case studies showing how such videos can prepare the ground for local organizing or turn a small campaign into a transnational sensation, bringing in key new allies that can shift the balance of power. Participants from traditionally media marginalized communities also shot and edited their own music videos.